This was a nice change of pace, a DARK faerie. The client is actually the one whose shoulder we see. 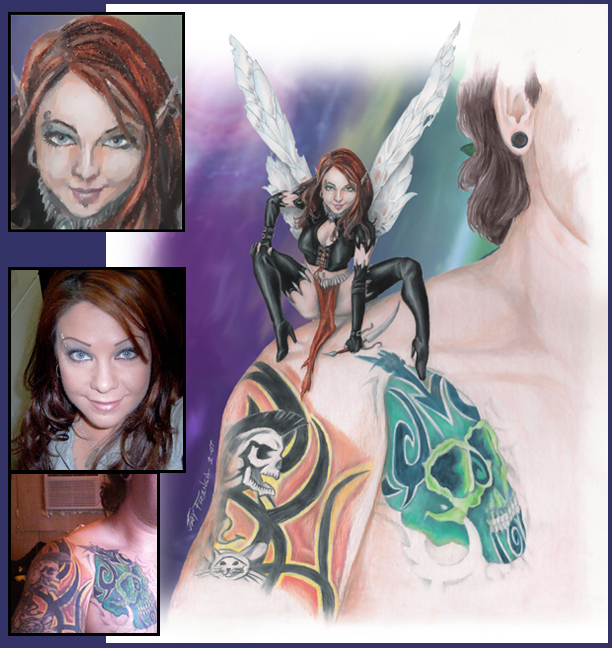 He wanted a portrait of his girlfriend as a dark, leather-clad faerie on HIS shoulder (distinctive for the tattoos). To the left you see a zoom-in of the face in the portrait, the source photo of the woman, and the source photo of his tattoos! Click the image to view merchandise with the "Leather Faerie"